The Chapmanslade Chicken Chasers enjoy a stroll in the winter sunshine. Join them for a walk every month - full information can be found in the magazine. The manor of Whitbourne was sold in 1544, on the dissolution of the Monastery of Maiden Bradley, together with lands in Bugley and Corsley, also belonging to the Monastery, to Richard Andrewes and John Howe for the sum of £1,094. Dominating the local skyline, a walk up Cley Hill will reward you with some magnificent views for miles around! Lane End is one of the seven hamlets that, by the Middle Ages, Corsley had been divided into&colon; Longhedge, Lyes Green, Corsley Heath and three Whitbournes. Corsley was unified after the Reformation when it was gradually acquired by the Thynnes. In turn they bought the three Whitbournes, Bugley, Corsley Manor, Huntenhall and Little Corsley. 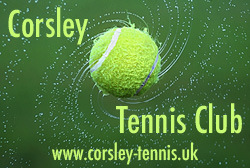 The name Corsley is obscure, but probably comes from the Old British ‘Cors’ meaning reeds or a swamp. Manor Farm, Corsley is a fine example of a grade II* Elizabethan manor house. In 1539, the manor of Corsley was granted to Edward Seymour who leased it to his steward, John Thynne. Eventually, Thynne was granted the manor and lived at the present Manor Farm from 1563 to 1568 whilst building Longleat House. The Manor celebrated it's 450th birthday in 2013 with a lavish luncheon for all the villagers. Originally named St. James&apos;s Chapel and built before the thirteenth century, it was changed to St. Margaret of Antioch's Church in 1786. By 1830 the original church was in a very poor state of repair and too small for the parish. A new church was designed by John Leachman and whilst the re-building was in progress, services were held in John Ball's malthouse. The new church consisted of just a nave and tower — there's no chancel. Inside, the pulpit survives from the old church and dates from c1700. 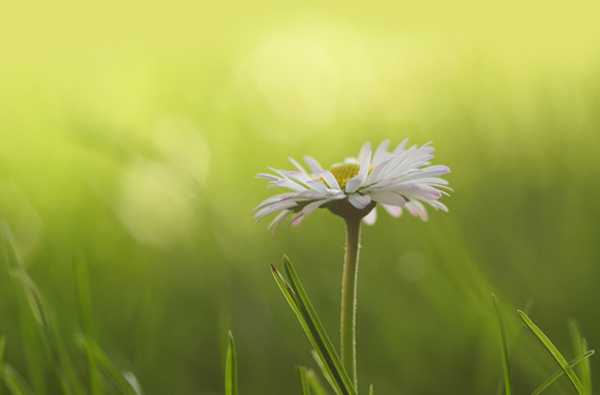 Corsley stands within the Cranborne Chase and West Wiltshire Area of Outstanding Natural Beauty. Outlying parts of the village not covered by the AONB are in a Special Lansdscape Area spreading from Corsley Heath across to Chapmanslade Ridge. Sitting on a fertile mix of clay and sandy soil, the farmland surrounding the village makes ideal grazing for both dairy and beef herds. In 1899 Mary Barton, of Corsley House, died and left £10,000 in her will for the purchase of a piece of land at Whitbourne Temple. She wanted an Anglican ‘chapel of ease’ built in memory of her husband and son. Opened in 1903, W H Stanley of Trowbridge designed the chapel in the Arts and Crafts gothic style – the interior retains many of it's original fittings. A scheduled ancient monument and declared a Site of Special Scientific Interest in 1975 and rising some 80m above the surrounding land, the hill is home to many plant and animal species having a nationally restricted distribution (a bit rare!). Covering more than 65 acres it is also significant for its geology and archaeology: formed by ancient seas it has been shaped by man from prehistoric times right through to the 19th century when it was quarried for its chalk. Due to the previous delivery person moving out of the village, we need someone to undertake delivery of 21 copies of The Bridge in the area from the Hollow and along Deep Lane towards the church (but not quite as far as the old school). Allow yourself to relive your childhood with a grown&dash;up, overworked Christopher Robin when he is reunited with the friends of his, and probably our, youth. 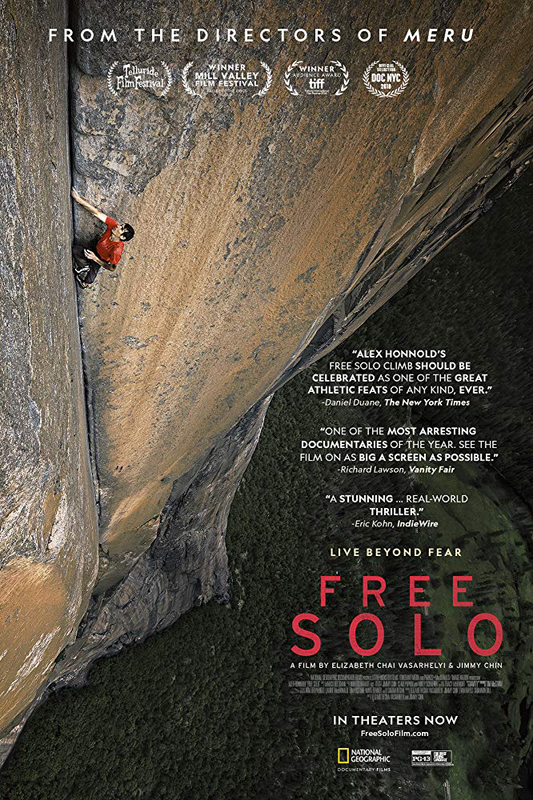 Winning the 2019 BAFTA award for best documentary, Free Solo documents the jaw&dash;dropping feat of climber, Alex Honnold, attempting to scale the face of 900m (3,000 feet) high El Capitan in Yosemite… without a rope. The choice is stark — success is only possible if his climb is perfect; failure of any degree means certain death. Most of us struggle to understand why anyone would take on such a ridiculous feat; even with the best modern climbing gear it would seem almost impossible, but without is beyond comprehension. Alex Honnold&apos;s assessment of risk and consequence is intriguing; his drive to follow his dreams and achieve his aspirations illustrates his immense physical and mental strength. This National Geographic documentary attempts to explore Alex Honnold, the person and the climber as, like any elite athlete, one informs the other. Ultimately, though, this documentary is about a solo climber&apos;s attempt to conquer a granite monolith first climbed in 1958, when it took 47 days with fixed ropes and pitons. Stomach&dash;turning athleticism combined with award&dash;winning photography make for an edge&dash;of&dash;the&dash;seat experience. If you enjoyed the documentary style of ‘The Huntress’ last year, you&apos;ll enjoy this award&dash;winning film. Free Solo brings our 2018/2019 season to a close so don&apos;t miss out as we won&apos;t be back until September! Tickets £6 from Acres Supply (cash only please), or on the door. 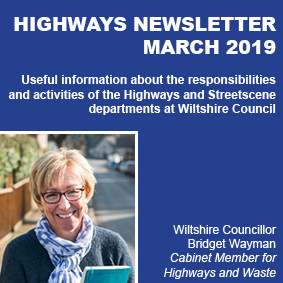 Wiltshire Councillor Bridget Wayman, the Cabinet member for Highways and Waste, produces a comprehensive newsletter with a plethora of useful information about the responsibilities and activities of the Highways and Streetscene. The November issue covers parking, drainage, sponsorship of roundabouts, highway flooding, energy saving lighting, etc. They&apos;d love to hear from you! Help us tell Corsley&apos;s story! Houses are altered, pulled down or extended; landscapes change, trees are cut down, hedges disappear and, because we live here all the time, these changes go un-noticed. These alterations, recorded in the odd snap here and there, are often in the background. This project has been set up to document and display those changes for posterity. We would do this by scanning, archiving and displaying the photographs and building a website. If the photos have creases or are a bit faded we can retouch the scanned image and supply a rejuvenated copy. If you are interested in this idea and can help as part of a study group or by letting us see your photographs, then do please get in touch with Phil Plumb or Liz Garrett. If using the website or Apps, you can upload a photograph for a more immediate and accurate assessment of the priority need. if YOU don&apos;t report it! Want to find out about roadworks? Click here and choose ‘Interactive Roadworks Map’ to view the current status of all roadworks being carried out by the Council and the utility companies (e.g. gas, electricity, water). Visit Wiltshire Council for more information on what you can now recycle in your blue-lidded bin.